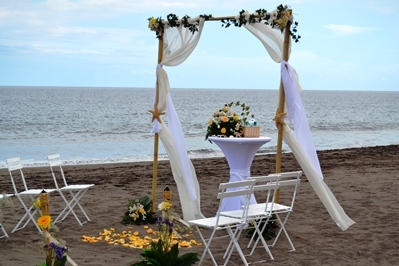 Our very romantic beach weddings are definitely the right choice for those, who are looking for something very special for their big day. 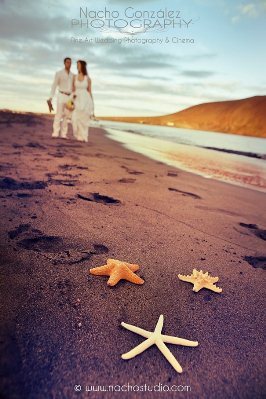 It´s the extra time we are willing to invest in every little detail to make your wedding abroad a unique and outstanding experience. 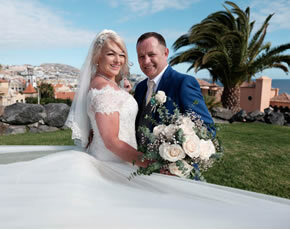 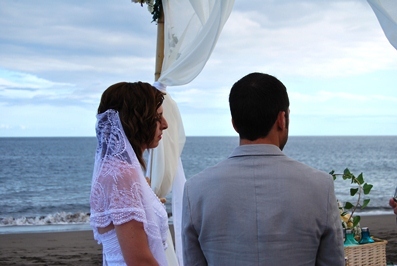 Also at this couple’s beautiful wedding day the sun was shining a little brighter on Tenerife‘s sky. 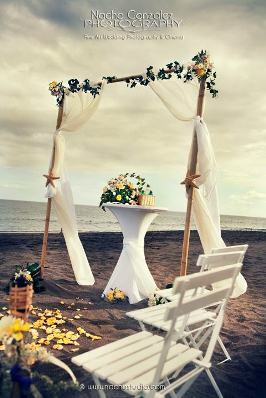 Everything is ready, the gentle sound of live guitar music and waves welcomes the couple and their wedding guests. 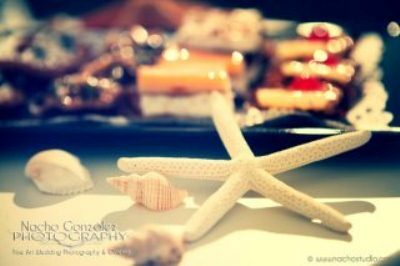 A wedding photographer will create unforgettable memories of your wedding abroad to share them with your family and friends back home. 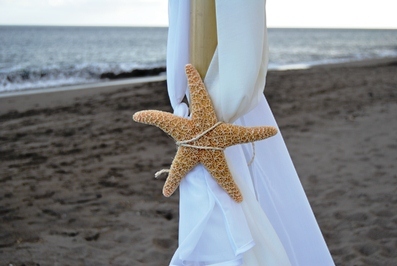 Every detail matters! 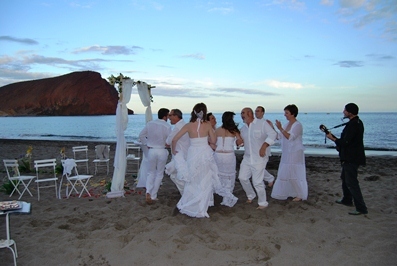 When it comes to your wedding we don’t leave anything to chance. 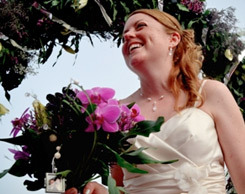 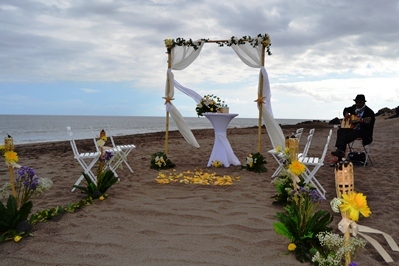 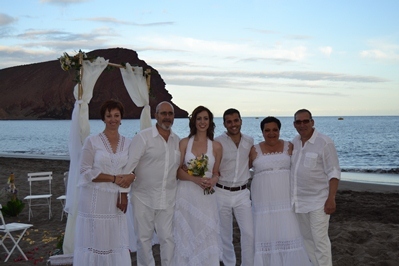 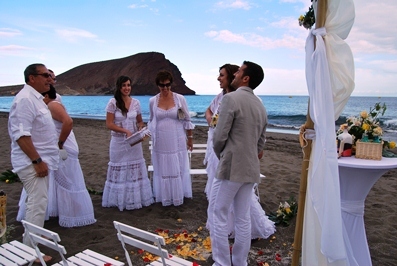 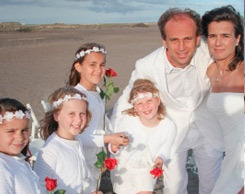 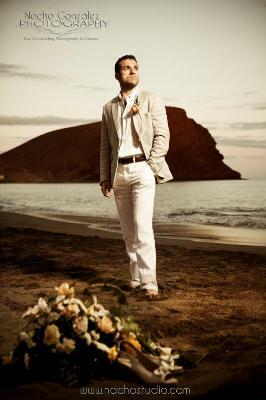 Tenerife’s wedding planner, Nadine García Breuer, and her team are always around during the whole ceremony. 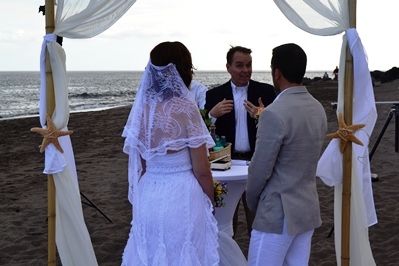 Our marriage celebrants always create special moments with their very romantic speeches. 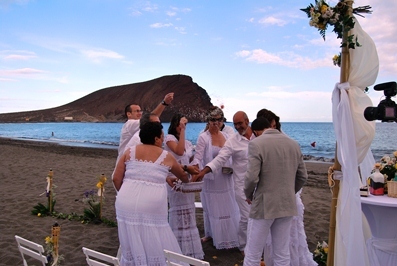 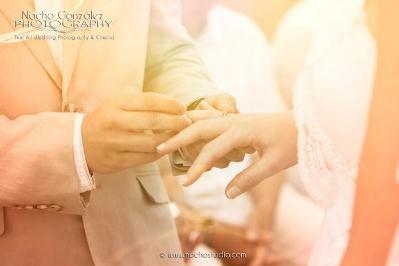 A sand tradition and the exchange of rings sealed the bounding between the beautiful bridal couple. 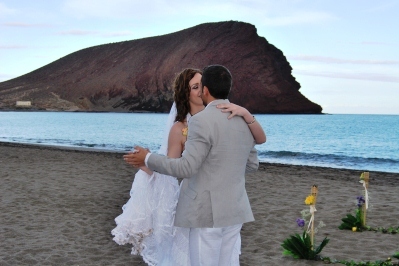 And of course the kiss of true love! 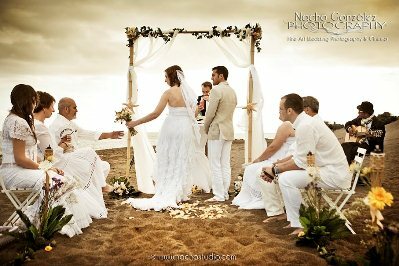 Throwing rice at the newlyweds stands for their future kids and involves the guests in the ceremony in a beautiful way. 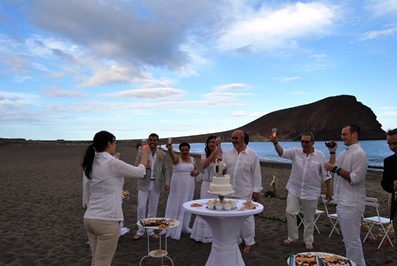 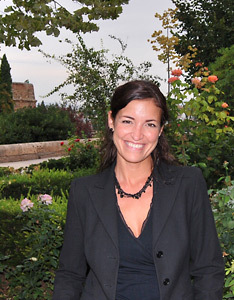 A toast to the bridal couple with wedding planner Nadine García Breuer: ¡Vivan los novios! 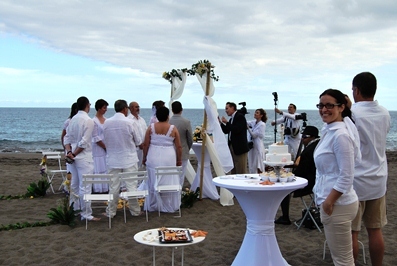 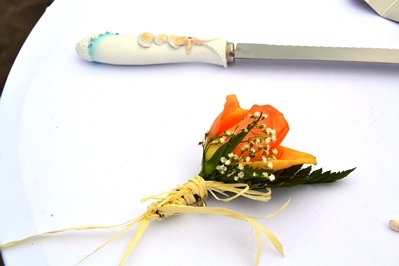 You don´t have to miss cutting your cake when choosing a beach wedding. 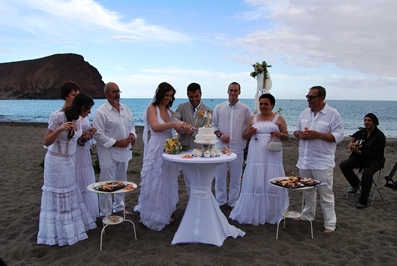 We will organize everything according to your wishes. 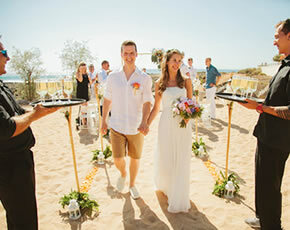 A beautifully decorated wedding cake, delicious cup cakes and sweet canapés – all in beach style of course! 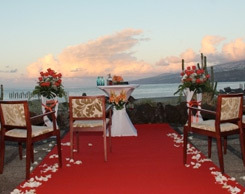 Romantic live guitar music creates a special ambience and what an amazing spot for the first dance as a married couple. 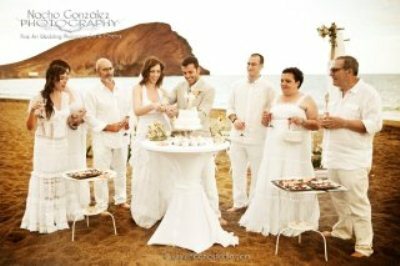 A photoshoot on the beach with the wedding guests is a special memory for everyone. 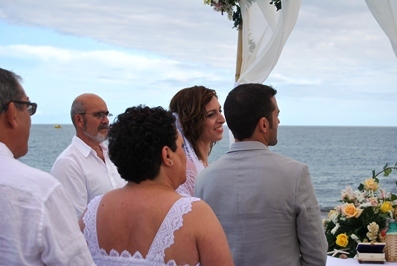 The right amount of “fiesta” shouldn’t be missed at any wedding in Spain. 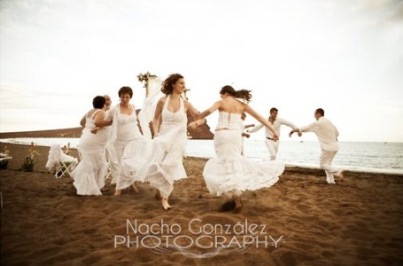 We know which live musicians will definitley make you and your guests dance! 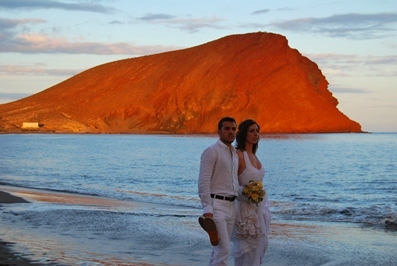 The couple enjoys the lonelyness of the beach while the setting sun creates lovely colours on Tenerife´s volcanic rocks. 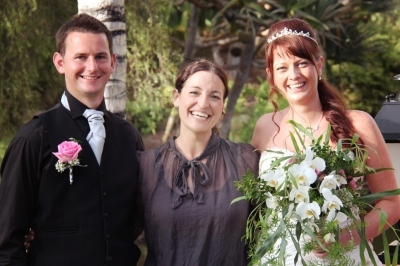 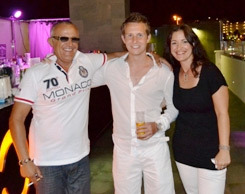 The team of My perfect wedding wishes the bridal couple all the best for their future and many returns to Tenerife!